Few players have lit up St. James’ Park in recent years in quite the same way that Hatem Ben Arfa has. When he’s on the pitch there’s a tangible excitement amongst the Toon Army that is unrivalled by any other Newcastle United player. Capable of the truly magical when he has the ball at his feet, the 26 year old Frenchman has the ability to win a football match at a moment’s notice. Recently, however, he has found his opportunities rather limited. He has played only 4 hours of the last 12 available on the pitch and there is a growing weekly clamour amongst fans to give Ben Arfa the playing time he deserves. But is Alan Pardew correct in omitting the man affectionately dubbed “Le Wizard” from the starting line-up? The prevalent opinion is that Hatem Ben Arfa doesn’t prioritise his defensive duties and becomes a liability to the team as a result. When you compare his defensive contribution to that of Yohan Cabaye, Moussa Sisssoko and Yoan Gouffran – arguably the three players who have claimed the positions in which Ben Arfa can play – it’s clear to see that there is a striking difference in what they offer to the team in terms of defensive abilities. Hatem Ben Arfa has had 975 minutes game time. Moussa Sissoko has had 1,983 minutes game time. Yohan Cabaye has had 1,571 minutes game time. Yoan Gouffran has had 1,562 minutes game time. It goes without saying that Ben Arfa is Newcastle’s most proficient dribbler, not only in terms of volume, but also in success rate. He successfully completes 59% of his dribbles, greater than the likes of Sissoko (48%), Cabaye (46%) and Gouffran (38%). The supposedly ‘all-out-attack or nothing’ Ben Arfa essentially plays an equal number of passes backwards as he does forwards. Whilst playing a higher percentage of forward passes than Yoan Gouffran (46.6%), it’s nonetheless fewer than both Moussa Sissoko (54.2% forward) and Yohan Cabaye (67.8% forward). So if he’s not creating chances or encouraging attacking play – two of his supposed biggest weapons in his arsenal – what other redeeming factors does he have from an attacking standpoint? Whilst his crossing accuracy (23%) is greater than Cabaye’s (18%) and Gouffran’s (7%), all fall some way short of Moussa Sissoko’s hugely impressive total (29%). Hatem Ben Arfa also currently has the worst shooting accuracy of all of these players, and were it not for his penalty goal against Crystal Palace his shot conversion rate would drop to just 6.9%. In terms of his overall direct contribution to goals, Hatem Ben Arfa also fails to show his supposedly-superior offensive credentials that would compensate for his defensive inadequacies. So where has all the hype generated itself from? Well, Hatem Ben Arfa is as enigmatic as they come. When he plays to his full potential he’s more or less unplayable from an opposition perspective. The fact that he currently occupies a top 10 spot for ‘Most Man of the Match’ awards in the current season tells everyone that he has the ability to treat the football pitch like a school playground on his day. Both graphics above show the little impact that Ben Arfa has on a game when he’s brought on as a substitute. As you can see, his best performances have been registered when he plays on the right hand side of midfield and it’s here where Newcastle United will need to utilise him in order to reap the rewards. This, however, would mean dropping Moussa Sissoko – somebody who has been one of this season’s most ever-present, consistent players. Sissoko leads the entire club’s assists charts whilst also putting in the highest proportion of accurate crosses and having the best minutes-per-chance-created ratio of any Newcastle player. On top of this, Sissoko doesn’t also come with the unfortunate-yet-accurate stigma of being a defensive liability. Unfortunately for Hatem Ben Arfa, it’s a no-brainer. So should Pardew drop Yoan Gouffran instead? Somebody of such solid defensive reliability who fights for the team, whilst also possessing the priceless knack of scoring and creating goals at a greater rate than Ben Arfa? Of course not. The fact is that Newcastle United have statistically performed better without Hatem Ben Arfa on the pitch. 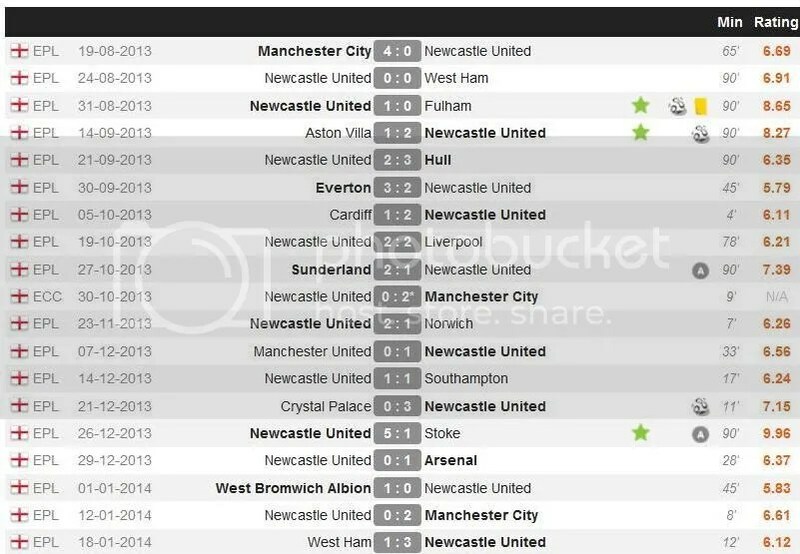 Of the 9 games that he started, Newcastle United would go on to lose 4 of those games and draw 1, giving the team a win percentage of 37.5%. Included in those defeats were the particularly embarrassing losses to Hull City and the Tyne-Wear derby game at St. James’ Park. On the other hand, of the 13 games where Hatem has not started, Newcastle United have won 8 of their games including huge victories over Chelsea, Tottenham and Manchester United. The win percentage for when he’s not in the starting eleven shoots up to 57%. If anything, this is the one table that should carry the most weight and credibility when considering whether Alan Pardew is right in his decision to bench the mercurial Frenchman. The table clearly shows that when Ben Arfa is on the pitch Newcastle United concede goals at a greater rate than they are scoring them – effectively making Newcastle a losing team. On the other hand, when he is off the pitch Newcastle United score goals at a far superior rate than they concede them – the essence of a winning team. The difference between the number of minutes it takes for a goal to be scored when ‘On the Pitch’ and ‘Off the Pitch’ is not too significant; just 10 minutes. In stark contrast to this, Newcastle United ship goals in at a hugely alarming rate when Hatem Ben Arfa is on the pitch as opposed to when he’s off it; over twice as often. The bottom line is that the attacking advantage that Ben Arfa affords is negligible compared to the vast defensive disadvantages he burdens the team with. Would attractive football be preferred? Of course it would. In an ideal scenario everybody would love to go and see footballers like Hatem Ben Arfa take to the pitch and attempt to wow the crowd. He’s a throwback to Keegan’s ‘Entertainers’, and that’s why he’s such a popular figure at St. James’ Park. But as the cliché goes; the most important thing is the 3 points. And unfortunately for Newcastle United, they have their best chance of achieving it with Ben Arfa off the pitch. What do you think? Is Pardew right to leave HBA out of the starting XI? It would be very interesting to see how these numbers look prior to the Man City double leg break. To me, he now looks tentative on the ball, maybe still worrying about being chopped down, Of course, the break may have taken a step away from his game, and he has not adjusted. It is possible he does not use his brain on the pitch, and keep himself in the right place for defense, With his speed(?) he should be running down opponents and taking the ball away. With his speed (?) he should be attacking the goal without allowing the defense to get into position to shut him down.He may be at his best as attacking RW since he does not have to worry about being assaulted from his right or behind. Its when he gets into the middle of the pitch when it all gos bad from him. 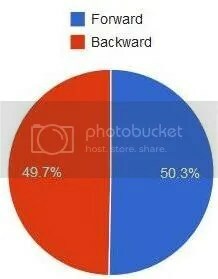 you can prove anything you want to with statistics. Pardew said before the Man City match that the one failings that MC had was that their wingers did not defend. that says it all about Pardew. Twice recently BA was voted man of the match by supporters and then dropped for the next match. I would rather go back to the Keegan era and be entertained than watch the rubbish Pardew serves up. The fact is that some people are so determined to hate Pards that they aren’t willing to give him the credit when it’s deserved. They’ll turn a blind eye when he does something right but jump on him like a pack of wolves when he makes a mistake; it’s confirmatory hypothesis testing at it’s finest. “You can prove anything you want with statistics” – for what it’s worth, Hatem is one of my favourite players. But in writing this article I had to be objective with no hidden agenda. I want Newcastle to be a better side with Hatem in it but the fhe facts are there for everyone to see – we perform better as a team and have a greater chance of winning when HBA isn’t on the pitch this season. Similarly to you, I would like to go back to the Keegan era and win in an entertaining fashion. However, if it’s a choice between playing well and losing or playing average and winning, I know which I’d rather choose. So no team ever plays well and loses? No team plays average and wins? I’m not sure if you’re trolling. What about Tottenham against us? They battered us and were it not for Tim Krul they’d have won. They played well and lost, we played average and won. That’s just one example using Newcastle from a couple of months ago. So yes, there is the choice I mention. Pardwho has never been able to cope with gifted players such as Tevez, Mascherano and HBA. He believes in the work ethic probably because he had to as a player ? I agree with Tony if we’re in a zero ambition phase, with the Fatman holding the club back, then give me KK’s entertainers as a minimum. Otherwise watching football ceases to become an enjoyable pastime. This is solid stuff Kain. Plenty to work on, but solid overall. Genius stifled by poor management. I hate the “luxury player that doesn’t track back” argument. What would you prefer? Matt Jarvis floating in aimless crosses? Gah. I would love Ben Arfa to be given a chance. Why do Newcastle Fans Moan all the Time? Debate: Should Alan Pardew be Sacked? Newcastle have a ‘mini Aguero’ on their hands – what should we do with him? VIDEO: Will this be Newcastle’s TENTH Summer Signing?